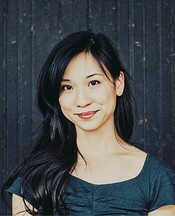 Lydia is the author of the young adult novels THE NOVEMBER GIRL, CONTROL, CATALYST, and the forthcoming TOXIC. She also writes adult fiction (A BEAUTIFUL POISON), nonfiction (QUACKERY: A Brief History of the Worst Ways to Cure Everything) and is a practicing physician. She lives with her family in the midwest, along with a codependent ShihPoo who totally knows who's really in charge.